In coming days the whole Syrian territory to the east of Euphrates River will be fully liberated from terrorists, according to statement made after a meeting in Deir ez-Zor, which was attended by 23 delegates representing the interests of all ethnic and confessional groups populating the area. 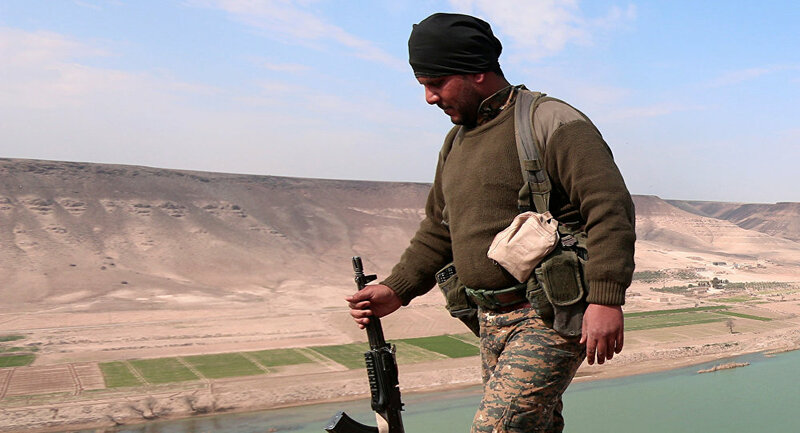 The Russian Center for Syria’s reconciliation has announced, "Co-chair of the committee Nuri Mahmud, who represents the Kurdish militias, stated that the Kurdish units were ready to ensure the security of the Russian servicemen, deployed along the eastern shore of the Euphrates." According to the statement, Mahmud has also stated that the Kurdish militants had effectively fought against Daesh terrorist group and thanked Russia for its assistance in bringing peace to Syria. Mahmud stressed that the members of the Committee considered the eastern territories of the province of Deir ez-Zor to be an integral part of Syria. "In coming days the whole Syrian territory to the east of Euphrates will be fully liberated from terrorists," the statement read. In his turn, the Russian military envoy, Maj. Gen. Yevgeny Poplavsky, said that the operation against Daesh was approaching completion. "The actions of people's militia units against Daesh terrorists are supported by Russian combat planes…All actions of the armed militia on the eastern bank of the Euphrates are coordinated from Hmeymim-based headquarters of the Russian military contingent in Syria," Poplavsky added. According to the general, combat planes from the Russian air group in Syria have carried out a total of 672 sorties and destroyed over 1,450 terrorist targets in support of the offensive of the units of the people's militia from the eastern Euphrates tribes and the Kurdish self-defense units. The announcement was followed by the statement by President Vladimir Putin, who saying that nearly all of Syria's territory, including areas populated by Christian groups, have been liberated from the terrorists with the support of the Russian military. The first meeting of the members of the Committee for the Governing of the Eastern Territories of the Euphrates was held on December 3 in Syria's Deir ez-Zor province, which was attended by 23 delegates representing the interests of all ethnic and confessional groups populating the eastern bank of the river. The main tasks of the committee will be setting up local governing bodies, organizing the delivery of humanitarian aid, and ensuring safe return of refugees to the areas liberated from terrorists, as well as demining of the territory and restoring the infrastructure.